Park rangers responded early Christmas morning to rescue three backcountry skiers who had become disoriented the previous day, and had inadvertently skied into Granite Canyon within Grand Teton National Park. The three men, Drew McCord, 32 of Houston, TX; Kevin Livingston, 37, of Afton, WY; and Patrick Callihan, 24, of Jackson, WY had intended to ski Rock Springs Bowl in the Bridger-Teton National Forest but lost their way because of poor visibility just after leaving the Jackson Hole Mountain Resort ski area boundary. Teton County Search and Rescue initially received the call for assistance from McCord’s girlfriend around 6:30 p.m. December 24. She reported receiving a text message from the men stating they were in trouble and needed help. Upon realizing the party was within Grand Teton National Park, the call was forwarded to park rangers at approximately 7:00 p.m. Though initial communication with the men was difficult, they hiked back uphill into an area with better cell phone reception and were able to communicate directly with park rangers by text around 10:00 p.m. Using this direct communication, rangers were able to confirm the men were uninjured and had the ability to dig a snow cave and build a fire. Given the darkness of the hour, rangers planned to ski in the following morning when conditions would be less hazardous for rescuers. At first light Christmas morning, two park rangers were joined by two members of Jackson Hole Mountain Resort Ski Patrol to begin the rescue. After riding the tram to the top of Rendezvous Mountain, the four rescuers descended into the Targhee Woods area where they located the missing party’s ski tracks. They followed the tracks and located the men in the area commonly referred to as “Cam’s Run.” The party was able to text their coordinates to the rescuers, which aided in their location. The cold but uninjured men were escorted down Granite Canyon. Given the considerable avalanche risk, the resort’s ski patrol closed the backcountry gates above the descent route. Despite this safety precaution, the rescuers encountered multiple parties who had violated the closure thus putting the rescuers at increased risk of being caught in a skier-triggered avalanche. The group returned to Teton Village at approximately 1:15 p.m.
Park rangers commend the men for remaining calm during the incident, staying together, initially attempting to return the way they had come, and their ability to light a fire and build shelter. 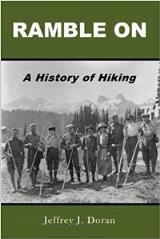 The men were equipped with basic backcountry ski gear including avalanche beacons, probes, and shovels. However, the men had very little food, water, extra clothing layers, or other emergency equipment. Park rangers remind those that venture outside of the ski area boundary that they should be prepared for emergencies and the potential for extended stays outdoors. Granite Canyon presents challenging terrain that should be attempted only by expert backcountry skiers with the knowledge, skills, and experience to travel in avalanche zones. Backcountry closures should always be obeyed. 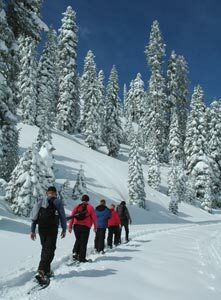 Ranger-led snowshoe hikes in Grand Teton National Park begin Monday, December 26th. The two-hour guided walks begin at the Taggart Lake Trailhead at 1:30 p.m. on Monday, Wednesday, Friday, and Saturday each week through mid-March dependent on conditions. Previous experience is not necessary and snowshoes are available. Reservations are required and can be made by calling 307.739.3399. The guided tours of the Taggart Lake area are a great way for beginners to get an introduction to winter recreation, and a way for the more experienced to delve deeper into the worlds of snow science and winter ecology. Topics covered during the hikes vary, but can include park history, winter wildlife adaptations, animal tracks, and snowpack. The snowshoe hike experience is enhanced by the use of historic wooden snowshoes, the oldest of which dates to 1943. While the precise history of the snowshoes is unknown, some of them likely came from the U.S. Army’s 10th Mountain Division. During and after World War II, soldiers from the 10th Mountain Division trained for combat in mountain areas and winter conditions using skis and snowshoes. Veterans of the division were in large part responsible for the growth of the snow sports industry after the war and many of them had ties to the Teton Range. The historic snowshoes are available to hike participants for a suggested donation of $5 per participant. 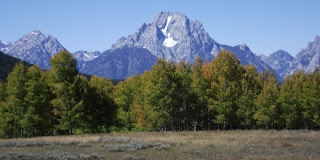 All donations are collected by Grand Teton Association and used to maintain the snowshoes. December 1 through March 31— Static Peak, Prospectors Mountain and Mount Hunt. December 15 through March 31— Snake River floodplain from Moran to Menor's Ferry near Moose, Buffalo Fork River floodplain within the park, Uhl Hill, and Kelly Hill. A map of the closed areas can be found on page four of the Grand Teton Guide and at https://www.nps.gov/grte/planyourvisit/upload/GRTE-Winter-Map.pdf. Rehabilitation of the historic White Grass Dude Ranch located within Grand Teton National Park is complete after 11 years of meticulous preservation work. The former dude ranch has been transformed into the home and primary training center of the National Park Service’s Western Center for Historic Preservation. Earlier this fall a rope cutting ceremony was held for the ranch. Since that time, staff have completed the finishing touches, and the ranch has formally transitioned from a construction site to a full-fledged training center. The National Park Service partnered with the National Trust for Historic Preservation in 2005 to rehabilitate White Grass. Rehabilitation work included repair of failed foundations, roofs, windows and doors; replacement of rotten logs; and upgrades to aging utility systems. The jointly-funded project cost approximately $3 million. The Western Center for Historic Preservation is the only training center devoted to the preservation of traditionally-built architecture in the western United States, Alaska, and the Pacific Islands. While the Western Center is commonly associated with log structures, its staff also conducts remote trainings on the preservation of adobe and mine shack type buildings. “The completion of White Grass means that we can shift our attention to training the staff needed to tackle deferred maintenance projects in the 159 parks we serve.” said Center Director Katherine Wonson. Western Center trainings are led by subject-matter experts from both within and outside the National Park Service. They are open to the general public and are provided at no charge to participants. Fourteen of the 20 trainings conducted in 2016 were hosted at other parks. While remote trainings will continue, completion of the ranch’s rehabilitation is beneficial as more workshops can be hosted at the historic ranch. Wonson said, “We’ve conducted trainings in other parks, and while they meet our training objectives, they ultimately don’t provide the same transformative experience as trainings at White Grass. Trainings at White Grass have the power to completely change the course of people’s careers, which it has already done for a number of National Park Service staff. They come and it’s an immersive experience.” Trainings were first hosted at White Grass in 2014. The rehabilitation also increases the center’s ability to host trainings that are contained entirely at White Grass, and are therefore more transformative for participants. The sleeping cabins have been rehabilitated to provide overnight accommodations to trainees and the Main, Hammond, and Bath House cabins serve as communal space for eating, teaching, and shop work. Life-changing experiences are nothing new to White Grass. As the third oldest dude ranch in Jackson Hole, White Grass built a tight-knit community of devotees. “White Grassers,” as they have come to be known, often returned to the ranch year after year from their homes in other parts of the country. The place stuck with them and, for many, was their primary connection to nature and the western way of life. The rope cutting event offered many of those individuals an opportunity to reconnect with the ranch, which has been managed by the National Park Service since 1985, when the Galey family’s life estate expired. Championed by Senator Lisa Murkowski (R-AK), Senator Maria Cantwell (D-WA), and Senator Rob Portman (R-OH), the U.S. Senate passed the National Park Service Centennial Act, which will expand the Centennial Challenge, a public-private funding partnership, establish and fund a national parks endowment, and provide additional opportunities for young people and volunteers to serve in and learn from our parks. The act passed the U.S. House of Representatives earlier this week. The National Park Service Centennial Act (H.R. 4680) will help address some of the $12 billion in needed repairs to park infrastructure, such as unmaintained trails and deteriorating buildings and structures that help tell America’s story but are in danger of falling apart. These delayed repairs hamper visitor access and enjoyment just when parks are experiencing record-breaking attendance as they celebrate their centennial year. The legislation would also help fund educational programs to better connect younger Americans to parks. The Grand Teton National Park Foundation announced yesterday that the National Park Service has purchased a 640-acre tract of land within Grand Teton National Park from the State of Wyoming. The purchase was made possible by the successful completion of an eight-month fundraising campaign by Grand Teton National Park Foundation and the National Park Foundation that raised $23 million in private funds. 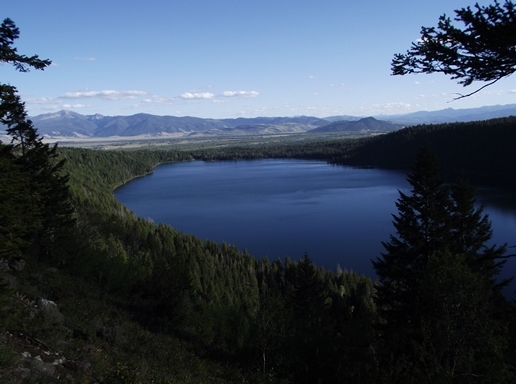 These funds were matched by $23 million from the federal Land and Water Conservation Fund. The newly protected land, called Antelope Flats, preserves critical wildlife habitat, migration routes, and viewsheds, prevents private development within the park boundary, and helps to complete the original vision of the park. The proceeds of the $46 million sale will benefit Wyoming public school children. Grand Teton National Park lies at the heart of the Greater Yellowstone Ecosystem, connecting Yellowstone National Park with the Bridger-Teton and Caribou-Targhee national forests including the Upper Green River Valley and the Wind River, Gros Ventre, and Wyoming Range mountains. In addition to its outstanding wildlife habitat values, the property supports the park’s world-class scenery. The Antelope Flats tract provides unobstructed views of the Grand, Middle, and South Tetons at the heart of the range, Mormon Row and the prominent Blacktail Butte area to the south, and the Gros Ventre Mountains to the east. Key conservation partners for this effort include National Fish and Wildlife Foundation via Walmart’s Acres for America Program, Jackson Hole Land Trust, National Park Foundation, and The Nature Conservancy in Wyoming. John and Adrienne Mars, the Hamill Family Foundation, Knobloch Family Foundation, The Sage Foundation, Mark Headley and Christina Pehl, and Rocky Mountain Power Foundation contributed leadership gifts to this effort. The David and Lucile Packard Foundation is providing a program related investment in the form of a bridge loan to support multi-year pledge commitments provided by many donors. 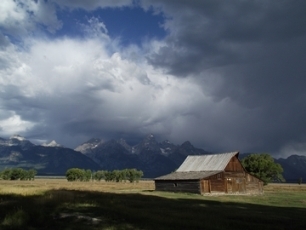 Additionally, The Conservation Fund provided real estate expertise to support the transaction, and National Parks Conservation Association long advocated for the property to be included in Grand Teton. Yesterday’s closing helps complete an effort that spanned 30 years to exchange, trade, or sell the school section. Since the late 1990s, Wyoming’s congressional delegation, governor, and state legislature have worked to resolve the school section inholding issue. The late U.S. Senator Craig Thomas passed legislation in 2003 to authorize exchanges, sales, or trades that would compensate Wyoming for the Grand Teton school section inholdings. A Wyoming constitutional mandate requires that school trust lands, created at statehood in 1890, must generate income for the common school trust. This purchase, through a combination of private philanthropy and federal funding, continues the tradition of generosity that helped establish Grand Teton National Park. In particular, it carries on the vision and generosity of John D. Rockefeller, Jr., Laurance S. Rockefeller, and the Rockefeller family, who recognized the role of philanthropy in the permanent protection of critical lands for the public. Intermountain Regional Director Sue Masica approved a Record of Decision for Grand Teton National Park’s Moose-Wilson Corridor Final Comprehensive Management Plan/Environmental Impact Statement (Final Plan/EIS). The Record of Decision marks completion of the planning phase of the project, which began in December 2013 and will be implemented beginning in the spring of 2017. 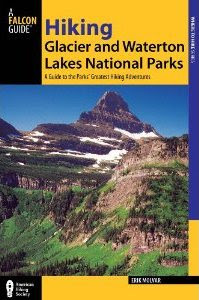 The decision document can be viewed at go.nps.gov/moose-wilson (includes a map of the proposed changes). “This planning process has been very encompassing. The National Park Service is very appreciative of all the input, both locally and beyond. The engagement and interest received is a testament to the care and concern people have for this special area within the park,” said Masica. The Record of Decision selects alternative C for implementation, explains the National Park Service’s decision, describes the alternatives that were considered, and discusses plans for mitigating potential environmental effects and monitoring those commitments. Alternative C was identified as the National Park Service’s preferred alternative in the Final Plan/EIS, which was released on September 2, 2016. The Record of Decision affirms the analysis of the Final Plan/EIS and maintains the key strategies and elements of the preferred alternative. The National Park Service selected alternative C because it exemplifies the conservation legacy stories of the Muries, Rockefellers, and tribes within the corridor. Of the alternatives considered, alternative C best protects the corridor’s natural and cultural resources by limiting new development and disturbances in the corridor, reducing the existing development footprint in some areas, providing some restoration of natural hydrologic processes, and carefully managing traffic levels. New development that does occur, such as the realignment of the northernmost section of road, will ultimately reduce resource impacts in the corridor. As a result of the relocation of the Death Canyon Trailhead the NPS preferred alternative (Alternative C) would impact hikes to Phelps Lake Overlook, the Death Canyon Patrol Cabin, as well as Static Peak Divide by adding another mile - each way - to each hike. A major component of the plan is visitor use management which will provide park visitors with opportunities to use and enjoy this area of the park while protecting park resources and the visitors’ experience. Visitor use management will be implemented adaptively beginning in 2017, when park staff will pilot mobile queuing checkpoints and other methods of managing visitation in the corridor. The system will be incorporated into park operations over time, and the Record of Decision gives park managers the flexibility to alter the corridor’s capacity or the management tools used if conditions dictate. Strategies that could be considered within the existing plan include a permit, reservation, or transit system. Construction work associated with the plan is dependent on funding and staffing and will be completed in phases over four or more seasons. During construction, portions of the corridor may be temporarily closed to allow for the safe operation of heavy construction equipment in the narrow corridor. A key park management goal is to maintain access to the Laurance S. Rockefeller Preserve Center and other recreation sites in the corridor throughout construction. However, access to these sites may need to be closed or limited during specific phases of construction. These activities will be communicated to the public in advance. The status of Teton Park Road, Moose-Wilson Road, and Signal Mountain Summit Road within Grand Teton National Park has been changed from wheeled access to over snow access due to recent snow accumulation. The designated portions of these roads are now ready to accommodate winter recreational use and wheeled access is prohibited for the season. Each year, Teton Park Road, Moose-Wilson Road, and Signal Mountain Summit Road are closed to public motor vehicle use beginning November 1. During the period of time that the roads remain free of snow, visitors are welcome to use the roadways for recreational activities such as walking, bicycling, and in-line skating. Once snow begins to accumulate on the roadbeds, the status is changed to over snow access and approved winter season activities such as cross-country skiing, skate skiing, and snow-shoeing become possible. Snow bikes are not permitted on roads designated for over snow access. Snow bikes are allowed on all roadways open to motor vehicle use in Grand Teton National Park including the East Boundary and Gros Ventre roads as well as the plowed portions of Teton Park and Moose-Wilson roads. This year, the 14-mile section of the Teton Park Road between the Taggart Lake Trailhead and Signal Mountain Lodge will be groomed approximately twice-weekly from mid-December to mid-March depending on snow and weather conditions. This year’s grooming is made possible through the support of Grand Teton National Park Foundation, Jackson Hole Nordic Alliance, and a Federal Highway Administration Recreational Trails Program grant managed by the State of Wyoming. Park visitors can call the park’s road condition line at 307-739-3682 for grooming updates. Generally, pets are only permitted on park roadways open to motor vehicle use. However, pets are allowed on the over snow access portions of the Teton Park Road and Moose-Wilson Road by special exception. Pet owners are reminded that pets must be on a leash no longer than six feet and under physical restraint at all times. Pet owners are required to clean-up their pet's waste, and mutt mitt stations are provided for that purpose during winter. Grassy Lake Road in the John D. Rockefeller, Jr. Memorial Parkway is closed for the season to wheeled vehicles and bicycles. The road opens to snowmobiling at the start of the Yellowstone Winter Use Season.